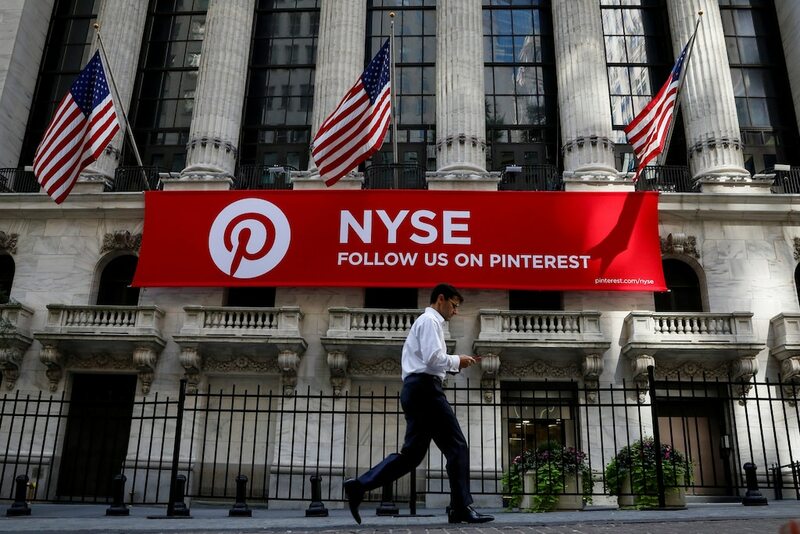 Pinterest has priced its initial public offering at between $15 and $17 a share, giving it a valuation of $11.3 billion at the upper end of the range. The social-media company was valued at $12.3 billion in its most recent round of private funding. Shares will trade on the New York Stock Exchange under the ticker PINS. Pinterest has announced the pricing of its initial public offering at a value below that of its latest round of private fundraising. The social-media company said Monday in a filing with the Securities and Exchange Commission that it would sell 75 million shares at a price between $15 and $17 apiece, giving it a maximum valuation of about $11.3 billion. Pinterest was most recently valued at $12.3 billion, following a 2017 fundraising round. Pinterest will have both class A and class B shares. Class A shares will give shareholders one vote each, while class B shares will be worth 20 votes each. All shares issued before the initial public offering will be made class B immediately before the completion of the IPO, Monday’s filing said. Goldman Sachs, JPMorgan, and Allen & Company were listed as the lead underwriters.